One of the challenges in Fortnite Season 7 Week 9 is to Pop 10 Golden Balloons. 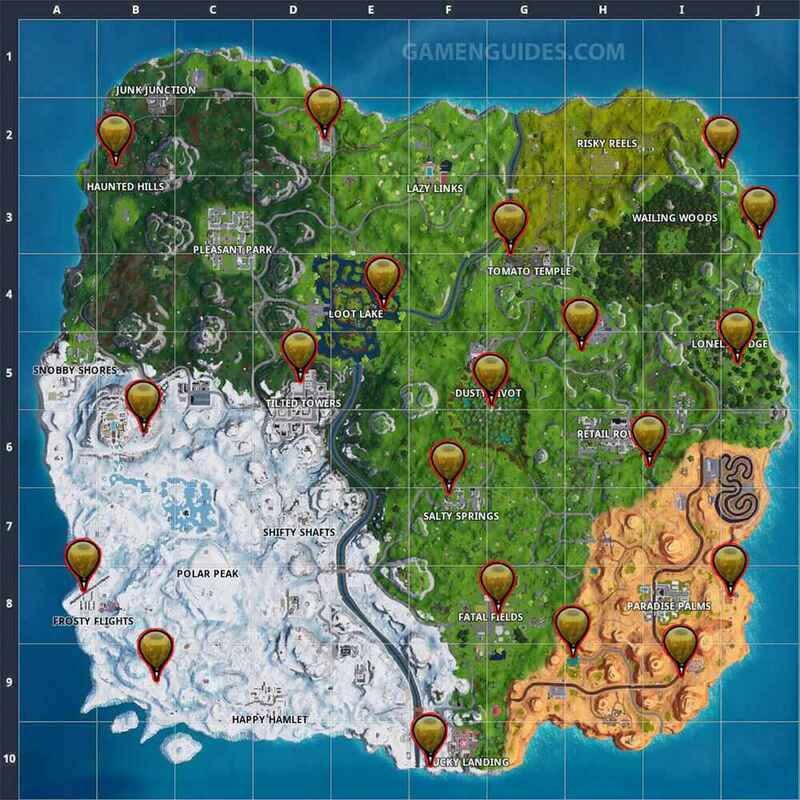 To help you with the challenge, here are the locations of all the golden balloons that you can pop. There’s a total of 20 golden balloons scattered across the map and the challenge only requires to you to pop 10 of them. Also, this challenge can be done in different matches, so players don’t need to rush to pop 10 golden balloons in one game. And that’s all the locations. After you have successfully completed the challenges, you will see a notification on the screen saying you have done so. For more Fortnite Season 7 guide, make sure to check our Fortnite guide directory.